There was no password at least not as far as I remember (unless you were a student). Commercial users of r14 were required to input a serial number (000-00000000) and a CD Key (0XXX). And that's all it took. Noteworthy too is the fact the software could be installed multiple times as long as the user had these two pieces of vital information. Perhaps that is why after 2004 all new releases required activation via the Internet and were limited to two installs unless there were special circumstances. Commercial users of r14 were required to input a serial number (000-00000000) and a CD Key (0XXX). And that's all it took. Noteworthy too is the fact the software could be installed multiple times as long as the user had these two pieces of vital information. Note that this is only true in the USA and Canada. 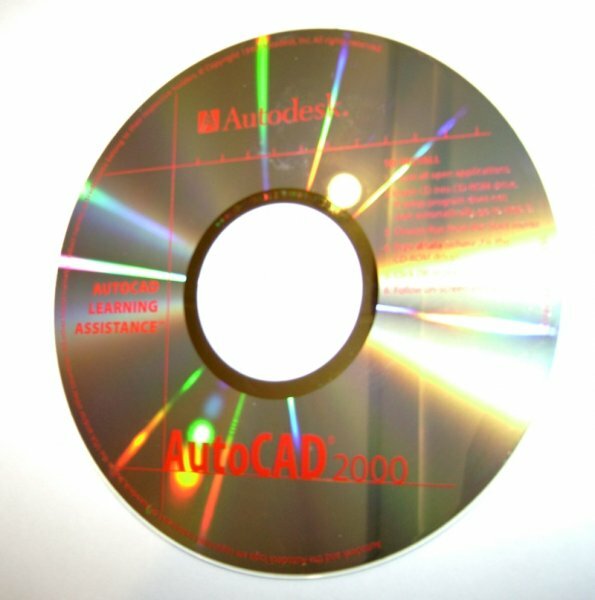 In other parts of the world, AutoCAD was supplied with a hardware lock or "dongle" that was fitted to the parallel port at the back of the PC. 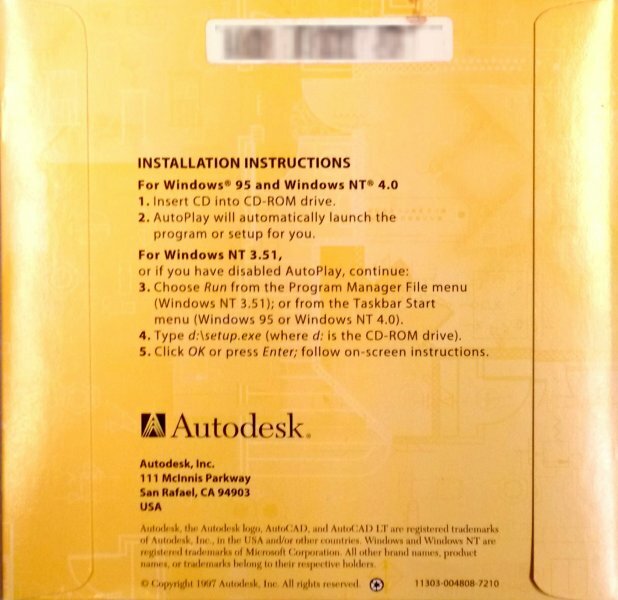 AutoCAD would only work if the dongle was attached and so copies could be installed on different PCs but only one could be used at a time. I've only ever used one product that required the use of a "dongle" and it happened to be a program for a graphics card produced by a Texas company called nth Engine. At the time their graphics cards cost anywhere from $1800 to $3000 (U.S.). Just the same I hate dongles. 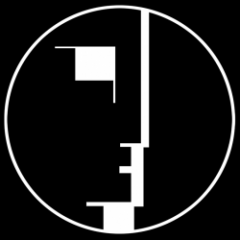 In rare instances the computer would not recognize their presence which was aggravating to say the least. In rare instances the computer would not recognize their presence which was aggravating to say the least. Tell me about it. Just imagine you're racing towards a deadline for a drawing and dear old AutoCAD suddenly decides not to recognise your dongle. They were hated and what made it worse was knowing that you guys in the States didn't have to use them. 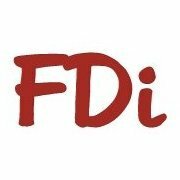 I think Autodesk's attitude was very much "we trust our own people but we just don't trust foreigners". 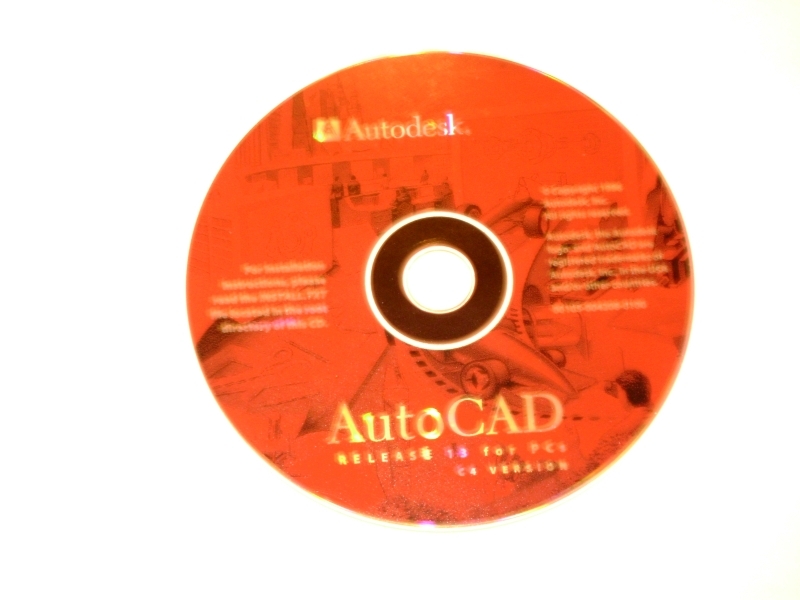 Having paid a lot of money for the privilege of using AutoCAD, we were treated like criminals. Blimey, it still gets me going even this long after the event! 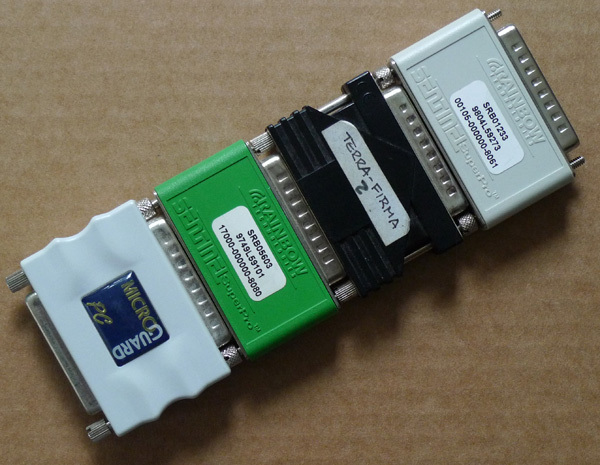 For the benefit of those of you who have never seen a dongle, the image below shows 3 examples from my collection. The grey dongle is from a commercial AutoCAD, the red one is from an educational AutoCAD and the green is from 3DS VIZ. 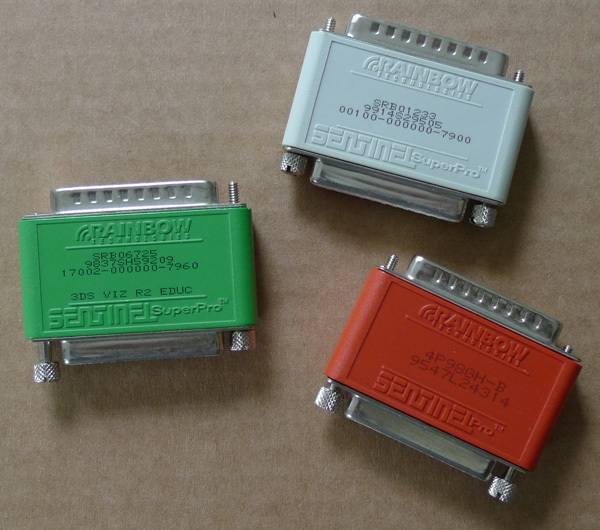 Note that these are the smaller Sentinel Pro/SuperPro dongles and not the earlier NetSentinel models that are about 50% bigger. At some point I'll show you all of my dongles if you're not nice to me. The other annoyance was that the dongles were intended to be used as a "pass-through" on the printer port but it was often the case that this didn't work terribly well. Sometimes prints didn't reach the printer. 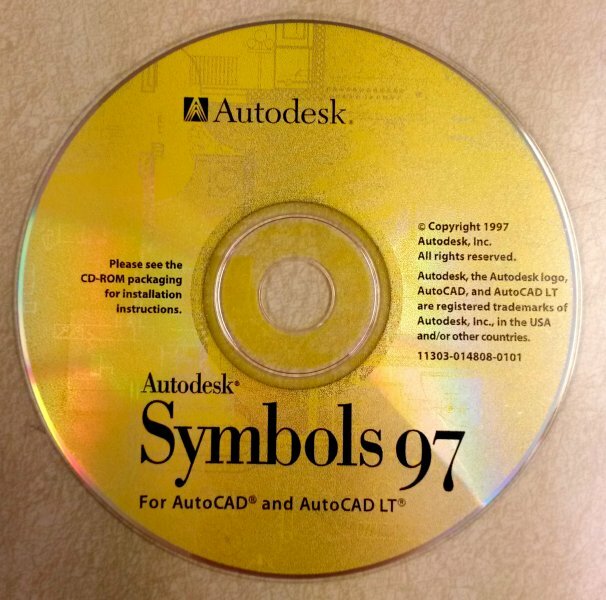 Also, if you had a number of Autodesk applications installed, say AutoCAD and 3DS, they had to be stacked one after the other, this required a short printer cable otherwise you couldn't get your PC anywhere near a wall because of the stand-off. The final annoyance is that multiple dongles would only work in a particular order and you had to work that out through trial-and-error. Ah, happy days. I thought this was a safe-for-work-kind of place, if you start waving your dongle around, I am out of here! I had the oportunity to see someone's computer with three dongles on it and just shook my head in disbelief. I just checked my useless computer junk drawer and found another dongle. It says "MAX" and under it are the words From AspenTech. I can't recall what it was for. I'll have to check it out. 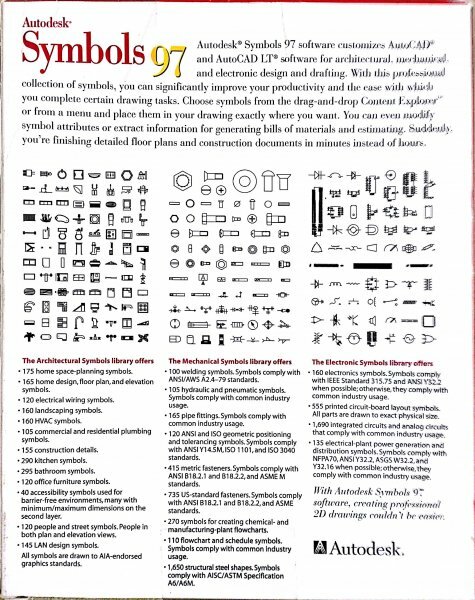 ....AutoCAD was supplied with a hardware lock or "dongle" that was fitted to the parallel port at the back of the PC..
...and AutoCAD was one of many, many applications that used this technology. And you had better insure the dongle for some apps, because that WAS your license. If it was "stolen" or "lost" or whatever, you had to buy a new license, at full cost. I had the oportunity to see someone's computer with three dongles on it and just shook my head in disbelief. Sure, you could easily end up with a lot of dongles. I commonly had 4 hanging off the back of my PC. Then try adding a printer and an external Zip drive and you've go yourself a real mess. The image below shows dongles for AutoCAD, Key TERRA-FIRMA (terrain modelling), 3DS VIZ and Tree Professional (3D Trees). 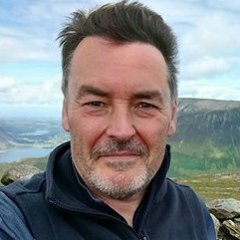 As RK says, Autodesk were not the only company to use this technology. Thank goodness for the internet and online verification. After seeing the above image it makes me wonder why anyone outside the U.S. would use software developed in this country. I guess Americans still enjoy sticking it to Europeans. We are soooooo full of ourselves. There's a program called UVLayout, made by an Australian company, that still requires a dongle in order to use it. It looks like a great program, and up until the recent release of ZBrush, and it's new UV tools, I was considering buying it. The only reason I didn't is because you need that stupid dongle in order to use it. For that reason, I decided not to purchase it. I have a question. 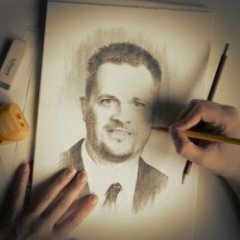 In place of dongles are any software companies using flash drives instead? Yes, the Key TERRA-FIRMA software I use still requires a dongle but fortunately it is now a small USB stick. I just plug it in and forget about it. IIRC - this one does - at least it plugs into the USB. I don't know if it's a flash drive in the sense that you could store other files on it...? Good add CADnoob. 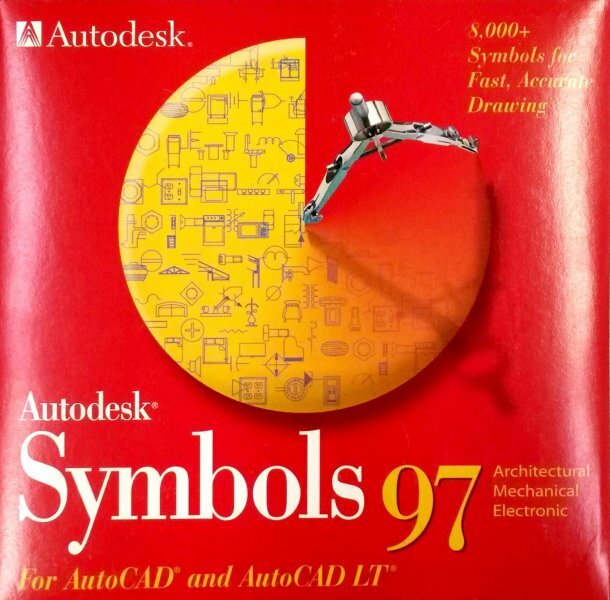 The Autodesk Symbols 97 I remember clearly. My first job was at a computer store CompUSA in Mesquite, TX in 1997 when I was 16 years old. I remember this box clearly being out on the design software isle. 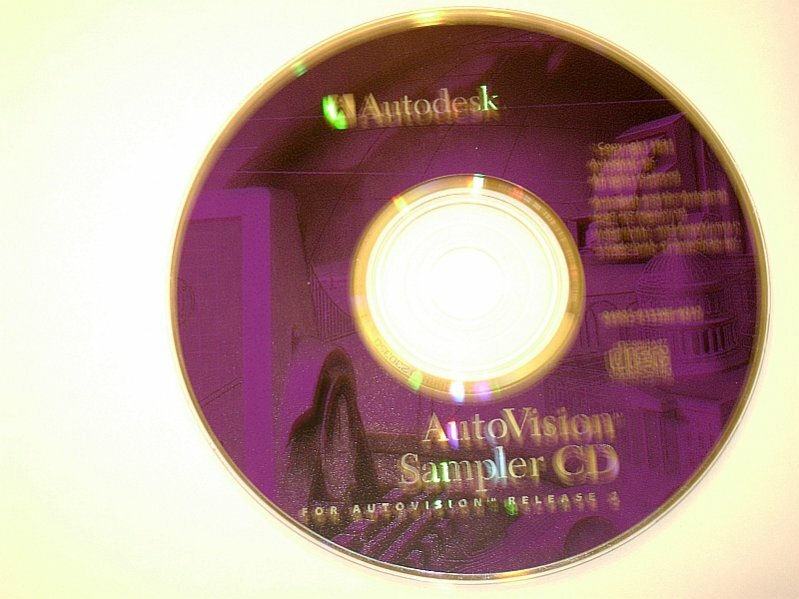 I wanna say my Dad had a copy too since he had AutoCAD LT on his home and work computer. Our home computer at the time was a Packard Bell 333MHz AMD K6-II with 32MB RAM and an 8.4GB Hard Drive. 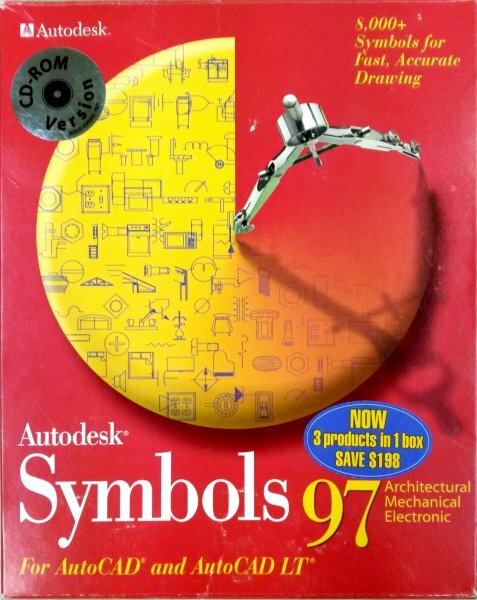 This is when my Dad first introduced me to AutoCAD. I'm cleaning out some closets here so there are some more that ill add. Wow, I need a tri pod and light screens. 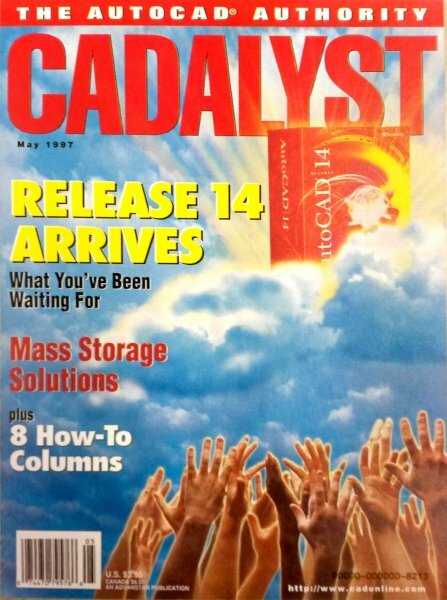 My media collection goes back to AutoCAD Release 9 (on 5 1/4" floppies) which is what the president of the company I work for bought but never used. 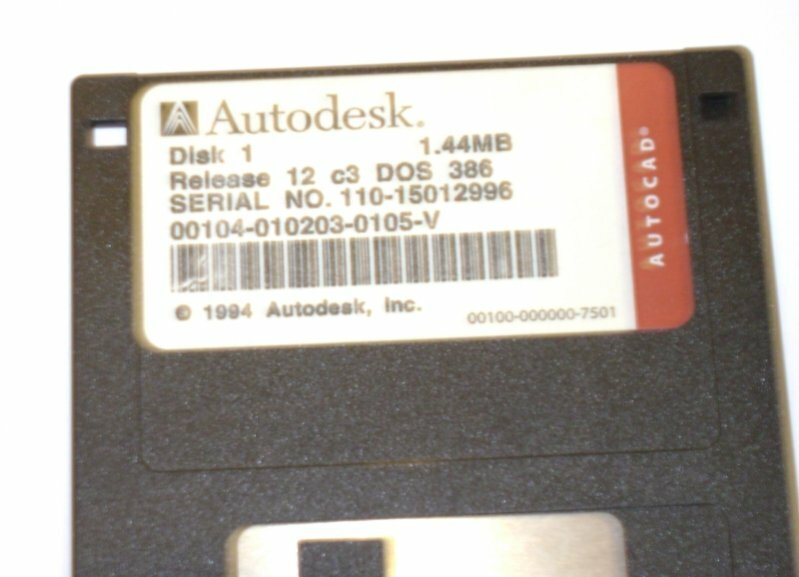 Also have AutoCAD LT 97 for Windows on 3 1/2" floppies.